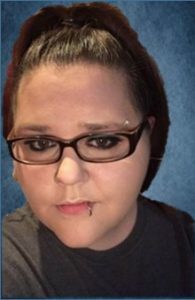 Kirstin R. Weddle, 29, of Rogers, died Tuesday, February 12, 2019, at CHI Memorial Hospital in Schuyler. 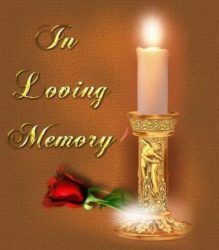 Memorial Service Saturday, February 16, 2019 11:00 A.M.
Kirstin was born October 11, 1989, in Schuyler, to Roger and Penny (Stutzman) Obershaw. She graduated from Schuyler High School. On October 24, 2015, she married Jonathan Weddle in Rogers. She was a stay at home mom raising their daughter, Trinity. Kirstin had a passion for writing and photography. Her number one love in her life was her daughter, husband and her family. She lived for them every second of every day. She is survived by her husband, Jonathan and daughter Trinity of Rogers, parents Roger and Penny Obershaw, two brothers; Joshua (Cassandra) and Zachary (Kristen) Obershaw, all of Rogers, her grandmother Connie Stutzman of Milford, three nephews and three nieces.
. She was preceded in death by grandparents, Victor H. and Bertha Obershaw and Morris Stutzman, brother Joey Obershaw and cousin Leo Obershaw.